An innovative and exciting way for instructors and students to present and study aircraft systems diagrams. Sign Upfor for Airline Distance Learning today! CPAT Global’s Airline Distance Learning Makes Online Aviation Course Training Fun! Our online aviation courses allow instructors and students to manipulate the systems’ cockpit controls and see how the system diagram reacts. This allows the instructor to teach aircraft systems with an interactive display and allows students to be more involved in the online aviation courses. Detailed aircraft systems to teach modern, complex aircraft systems in real time. Instructors will no longer have to use out-of-date posters or confusing chalkboard drawings of detailed aircraft systems. Allows the student to learn, practice, and operate aircraft systems in a way that provides an actual experience. Allows the instructor to provide guidance during the type rating course on a large touch screen monitor while the student follows on a device. Online aviation training course material retention is improved. Real-time feedback. When participants in online aviation course training are participating, they are able to make decisions and see the outcome of those decisions immediately. They are also able to make different decisions in the same situation and see those outcomes as well, which helps them see which decision was the better one. This process of trial and error is an invaluable learning tool in online aviation training. When a participant has to wait to discover the outcome, some opportunities for learning have been lost. Engages different learning styles. 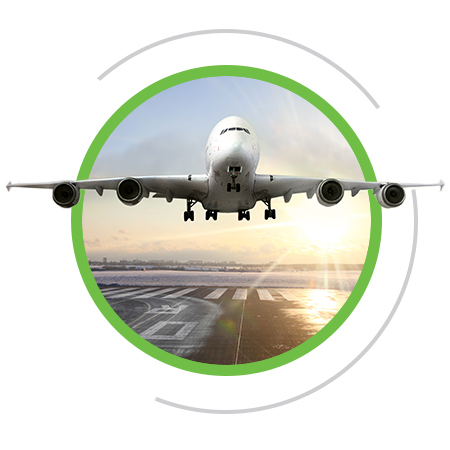 When the material is presented in more than one way, participants will be exposed to the material in a variety of ways, also leading to improved retention of the aviation e-learning material. Fun and dynamic. Participants in interactive online aviation course training can get their questions answered immediately and teachers can gamify their lessons, bring competition to learning, and bring the aspect of achievement tiers into the learning process. Additionally, the broad array of apps and tools available gives teachers the ability to design all kinds of digital content, allowing their imagination to be limited only by the sky! Saves on cost. No longer do participants have to travel to attend aviation training. CPAT Global’s aviation computer-based training allows the participant to take the aviation course at his or her convenience. Furthermore, once purchased, our aviation distance learning course material is always available for review of important concepts. CPAT Global specializes in airline distance learning. We’re leading the way in aviation learning solutions with offer courses in specific airplanes, such as Airbus training and Embraer Training, as well as a whole slew of general subjects courses, from High Altitude Flight and Rapid Decompression Training to Dangerous Goods / HAZMAT – Will Carry Training, we offer. Convenient and motivating, our interactive online aviation course classroom is an enhanced learning environment, which results in a better overall learning environment. Decision-making is improved and immediate feedback is offered, resulting in aviation course material being reinforced and participants retaining more of the aviation e-learning material. Contact CPAT Global today to learn more!